1. Get out of Reykjavik. And by that I mean rent a car. (We used SADcars and had a good experience.) Yes, Reykjavik is a very cool city. The nightlife is wild, the food is good, and it is very walkable. However, most of Iceland's wonders lie outside of the city. You don't want to miss all the glaciers, volcanoes, and waterfalls (bloody hell, are there waterfalls) that are all within a couple hours of the country's capital. Renting a car gives you the freedom to see everything you came to Iceland for. I also recommend staying outside of Reykjavik for several nights. We found that our nights spent in tiny town were actually out favorite. We traveled at the end of August when the days are quite long. Staying outside of the city made it possible for us to see so many things! Also, pay the extra dollars for a GPS! You'll be glad you did! 2. Rent rooms in quaint hostels from Airbnb. Reykjavik - The location of this loft turned hostel can't be beat. It was clean and right in the heart of the city. Flúdir - This tiny hostel is located on a golf course and was very comfortable! The kitchen was equipped for cooking and the location is great for seeing all the natural wonders in this area. Westman Islands - This hostel sits in a old house at the base of a volcano! Just walk out the door and hike right up! 3. If you want to do the Blue Lagoon, do it early in the morning. Like, 8:00 AM. Preferably, fresh off the plane. Our flight to Reykjavik flew through the night and landed at 6:00 AM local time. We were tired, for sure, but we knew what the day had in store for us - a long soak in the famous Blue Lagoon. This couldn't have been more ideal, and if you can replicate the experience for yourself I recommend it. On any other day I wouldn't have wanted to soak for so long, but when the jet lag is setting in it's the perfect activity. The lagoon opens at 8:00, and it was by far less crowded than when we left around noon. Without all the tourists, the water is much more peaceful and I feel like I had the best experience possible early in the morning. Book this experience well in advance. 4. Visit the Westman Islands. But maybe buy sea sickness patches before you get on the ferry. You can park the car you rented for free at the ferry station and tickets are cheap. Book in advance (here), and walk all over the big island of Vestmannaeyjar, home to the world's largest colony of puffins. This place is puffin central and is insanely beautiful. In addition to puffin hunting (they weren't hard to find), we also hiked up a volcano, had amazing fish and chips, and drank some tasty locally brewed beer here. It was our favorite stop on our Icelandic road trip. 5. Don't be afraid of Icelandic grocery stores. Because food is pricy AF. Sure, splurge on some meals out, but also don't be afraid to pop into a grocery store (Bónus is the best!) and grab some skyr (this brand was my favorite and it came with a convenient little spoon) or a granola bar. Instead of stopping for lunch all the time, we snacked through lunch and just kept hiking. We always had something on hand for breakfast, and we grabbed one of the most amazing pastries I have EVER had from a tiny grocery in Flúdir. The market was filled with older local gentleman having their breakfast and we just joined them! Sitting there eating in the grocery was much cheaper than popping into a cafe every morning and the coffee was still delicious. Grad a quick lunch or latte here. The food is fresh and the prices are closer to what Americans are used to. I had some sort of sandwich with chicken, avocado, and red pesto. It was great! This food hall is FULL of wonderful delicious food. We had a couple of dishes. One with smoked char and another with fresh gnocchi. It was one of my favorite meals! EAT PASTRY HERE. Seriously. Get a couple of different baked goods from this killer bakery and walk the streets. I have never been happier than I was with a Braud & Co. bun in my hand walking through rows and rows of colorful houses. After you've hiked 1,000 miles searching for puffins, grab some fish and chips here. I had the best fish and chips of my life is this adorable spot that we stumbled upon. Eat tomato soup in the greenhouse where the tomatoes are grown. This spot is more than a simple restaurant - it is an experience. Make sure you book your table in advance. 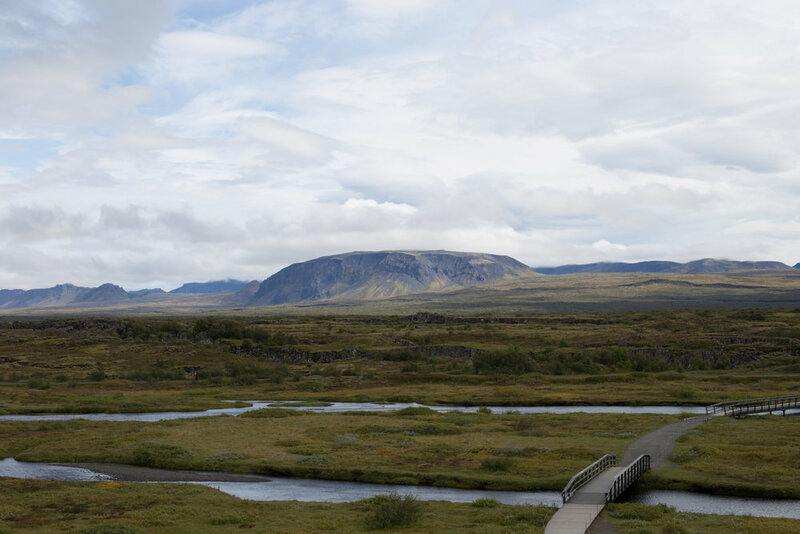 Curious about the route we took on our road trip of Iceland? Here's a Google map.